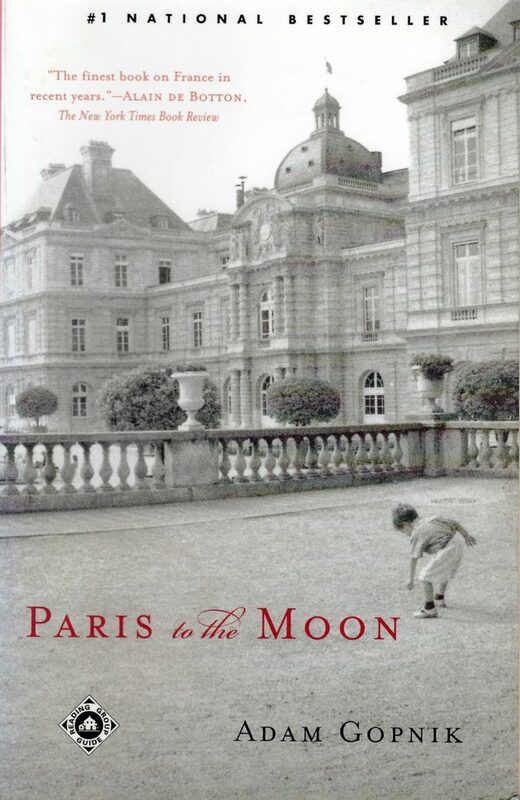 I love Paris to the Moon, I loved it the first time I read it in the early 2000s. It captures a particular moment in Paris, one that I suspect is no longer relevant. For example, it is true that in the late 1990s bistro food was not good. It wasn’t terrible, but it wasn’t anything to write home about. And for a place where many, many people had written home about the food? That wasn’t good. Now, I suspect, the daily food scene is better. I re-read the essays this time, surprised at how much I remembered from a book I haven’t read in probably a decade. In no particular order: the caramelized tomatoes, how watching too much soccer makes it impossible to find the puck in a hockey game, the way you choose the place where you will give birth in a different country – re-reading these essays was like visiting an old friend. Mostly, I love the overall vibe that he shows Paris having, not an overly romantic or easy one, but one of enjoying a life well-lived. A life where care is taken over the details like food or the park, and the way philosophy can invade the most basic of questions. If you’re looking for a set of essays that show Paris as a place where you can actually live rather than as a romantic image of itself? Paris to the Moon is your book.